From Here to Eternity and Thin Red Line, both wartime novels (and major motion pictures), established Jones as one of the greatest American writers of the 20th-century. 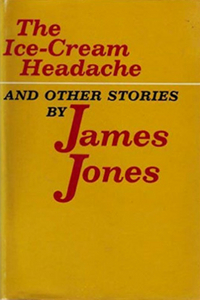 For this first and only collection of his stories (out of print for more than 15 years), arranged chronologically, James Jones wrote, in addition to a general introduction, individual and very personal prefatory remarks that illuminate his development as a writer over 20 years, beginning in 1947. The 13 penetratingly sensitive, remarkably varied stories are about men, women, and children in circumstances ranging from war to marriage to childhood to courtship. Each story is distinguished by the classical simplicity, emotional resonance, and lasting impact that is the hallmark of the great short-story writer. Brand new introduction by the author’s daughter, Kaylie Jones. The James Jones Literary Society will participate in the promotion of this book.